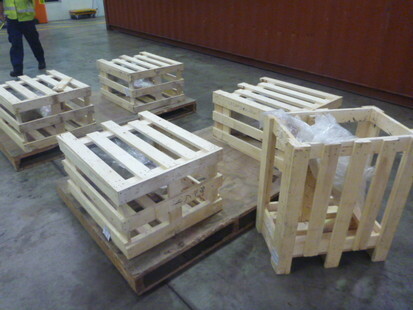 Australia faces a biosecurity risk due to an inadequate risk assessment of wood materials found in packaging materials. Our neighbours across the Tasman have a risk assessment process from which Australia’s Department of Agriculture and Water Resources (DAWR) could learn and which, I would argue, would be a huge improvement to our current process. In a nutshell, Australia doesn’t check containers, meaning wooden packaging that has not been fumigated is slipping across our borders undeclared and unchecked. I refer in particular to the processing of Less Than Container Load (LCL) shipments. The person filling out the packing declaration is either the supplier or the packer; both commercially connected to the importer and therefore with a potential conflict of interest. DAWR doesn’t physically check LCL cargo to ensure that forms have been accurately completed. The template is only supplied in English regardless of the language of the person completing the document, usually an international supplier. I have often wondered how many of the people filling out the form even understand the language on the form. The form has been changed three times in the past two years. There is no surprise then, to learn that the forms are frequently incorrect and as a customs broker, I commonly need to ask the supplier to prepare another declaration to bring it to the new standard, or to ask if the answers are accurate. But not all LCL shipments are assessed by a customs broker, self-assessed clearances under the tax-free threshold can be completed by anyone. If Australia is to keep its borders safe from biosecurity risks, it needs to be sure that the risks are not slipping under its nose, and for that we can look to New Zealand’s process. New Zealand, generally regarded to be more responsible for its pristine environment, doesn’t require packaging declarations for LCL cargo. Instead, all LCL cargo is inspected at the unpacking depot before the cargo is released. A system of thorough checks like this is positive because, from the get-go, suppliers and importers know that cargo will be checked, which means that they will self-regulate to meet quarantine requirements in order to avoid storage and or further fees. The process is effective. In the past 12 months, DAWR has changed its one-page packing declaration three times in order to improve its accuracy. But it is still only in English. It is still only filled out by the importer’s people and it is still not checked against the cargo. I would argue, therefore, that it still holds little value. Changing the document doesn’t solve the problem, physically checking the containers would. 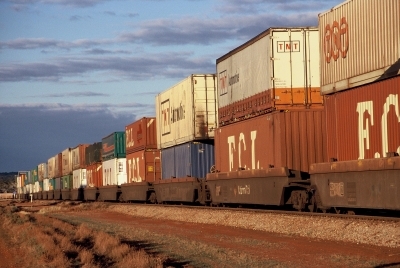 Peter McRae is the principal of Platinum Freight Management.